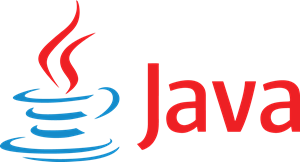 JAVA Platform Enterprise Edition is a Platform for developing Web-based or network based software as per the need of the enterprise. Application Programming Interface (API) – provides the building blocks at the user end to develop a software. And consists of protocols, set-routines and tools that help to use the building blocks at the back-end. Runtime Environment- provides the support system to run, debug and optimize the built application by the user. One can write a module for a specific operation, process of an enterprise and on the other hand, one can create a whole package of software on j2ee. Final deployement of the software and providing the working knowledge of application to the end users. The business enterprises are more interested in softwares those are built as per their need rather than softwares which are available in the market and then are customised as per their needs. The businesses value much more in real time built softwares that cater to their business operations efficiently.